After rumors and a later confirmation from Google, YouTube's gaming channel is finally here. It's not a stretch to call this new gaming hub Google's own version of the live-streaming leader, Twitch. Livestream viewers coming to YouTube Gaming will feel very familiar with the interface that borrows heavily from Twitch even down to the emoji spammers in the chat. Of course, Google has a few new tricks Twitch does not have starting with the ability to stream at 60 frames per second through HTML 5. 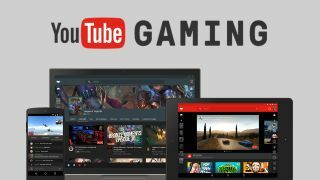 YouTube Gaming also has the DVR functionality built into it, which allows fans to easily pause, rewind and speed up the stream — all features not yet available on Twitch. Gaming has become a big focus for YouTube, so much so that games has become a suggested search query alongside channels and videos. When users look up a game they'll be transported to a landing page complete with a unique header image and icon with any associated videos arranged neatly on a hub page. Google has previously remarked that it will have over 25,000 dedicated pages to games alone and plans to make it easier for viewers to easily connect with their favorite YouTubers. YouTube is available on the web, as well as on iOS and Android for those in the UK and US. Google has plans to expand its gaming channel to anywhere in the world where YouTube currently is available.